Making a successful transition from Gujarat chief minister to prime minister was a formidable challenge for Narendra Modi. He set about doing this with élan. He started his tenure with a grand swearing-in ceremony in the forecourt of Rashtrapati Bhavan. He invited heads of government from neighbouring nations, like Pakistan Prime Minister Nawaz Sharif, whose arrival he had marked. That sheen has started wearing off after 12 months. The depleted Congress as Opposition labels Modi’s government the “U-turn sarkaar” for changing its position on all crucial economic reforms hanging fire since the United Progressive Alliance regime, from insurance to the goods and services tax. The hype of 281 MPs in the Lok Sabha, which raised the government’s pitch on economic reforms, received a reality check in the Rajya Sabha, where the Bharatiya Janata Party does not enjoy a majority. Undeterred, Modi launched ambitious programmes like the Jan Dhan Yojana and established a direct link with the people through his “Mann Ki Baat” programme on All India Radio. 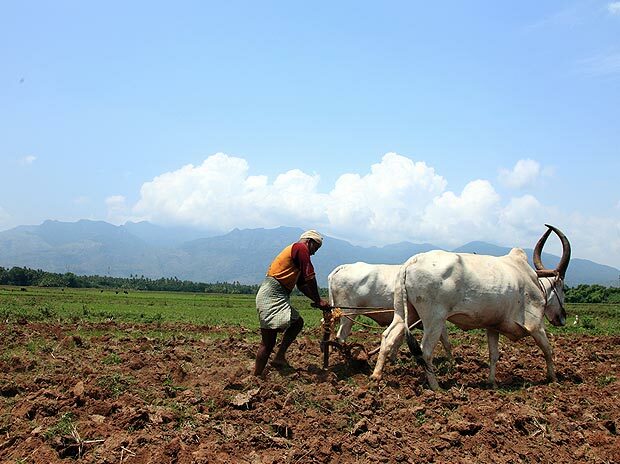 “Just as the UPA was tainted by scams, the Modi government has been branded the anti-farmer and pro-corporate sarkaar,” observes a political analyst. The government and its ministers failed in communicating their views to the people on the amended Land Acquisition Bill while the Congress-led Opposition ran away with the agenda. It helped the Congress that after 11 months of silence a rejuvenated Rahul Gandhi, tore into the Modi government, labelling it a “suit boot ki sarkaar.” Mismanagement by the government of the land bill, coupled with Modi’s sartorial flourish, has thrust Gandhi back into the headlines. The strong image of the ‘Make in India’ campaign lion, unveiled by Modi during his visit to Germany, was welcomed by a large section of industry, but it could not quell voices questioning achievements on the ground, away from the hype. The honeymoon for the government, bolstered by low international oil prices and a check on spiralling inflation, is under threat from an agrarian crisis. A poor monsoon could queer the pitch further. The prime minister was keen to have the constitutional amendment for rolling out the goods and services tax and the Land Acquisition Bill cleared by the time the government completed one year in office. Those plans have been scuttled by the Rajya Sabha. “There was corruption during the Congress’ rule, from land to spectrum to coal. But you cannot level a single charge of corruption against us,” Union Minister Venkaiah Naidu said last week. A Comptroller and Auditor General report naming a senior Union minister seemed to be a temporary setback on this count. Yet, Modi has pulled off the most productive Parliament session in the past 15 years.